'Gandhi Jayanti' is celebrated every year to mark the birth anniversary of Gandhiji (Mohandas Karamchand Gandhi), popularly known as Mahatma Gandhi, 'Bapu' or the 'Father of the Nation' in India. 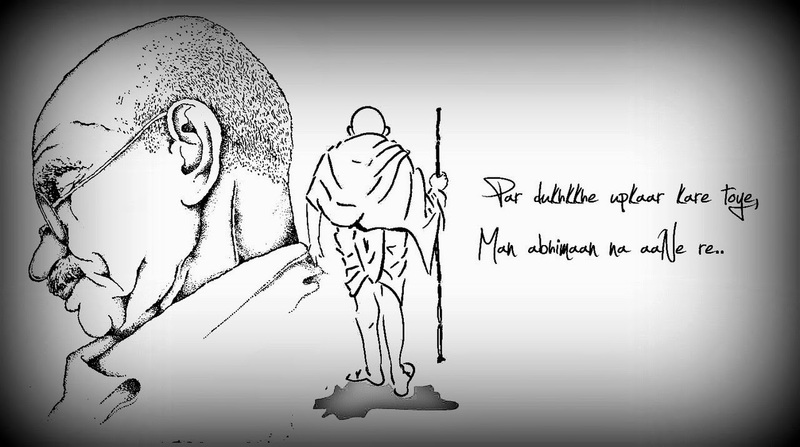 Gandhiji is a symbol of peace, non violence and humanity. He is a protagonist of Peace. The United Nations has also declared October 2 as the International Day of Non-Violence. 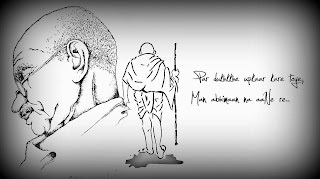 According to the UN General Assembly resolution of 15 June 2007, which established the commemoration, the International Day of Non Violence is an occasion to "disseminate the message of non-violence, including through education and public awareness". The resolution reaffirms "the universal relevance of the principle of non-violence" and the desire "to secure a culture of peace, tolerance, understanding and non-violence".